When we first started the blog, I was allergic to less stuff than I am now. When I first devised this recipe, I wasn’t allergic to corn yet, and I didn’t suspect chia seed as being potentially problematic (it’s on the suspect list, but I haven’t done a food challenge to verify yet). As a result, the original version of my Gluten-Free and Dairy-Free Pancakes recipe contains a bunch of stuff that I can’t eat now. 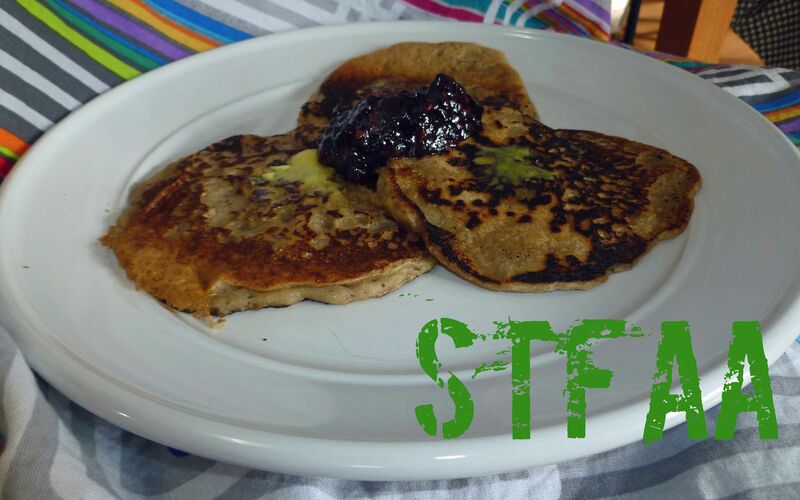 Recently I was craving pancakes and realized that I hadn’t revised the recipe on the blog to be safe for my current allergies when I tried to harass my poor, long suffering husband into making them for me. So then, hey, pancake recipe revision! You can also dress these up anyway you want, add blueberries, apples and cinnamon, and use whatever jam, jelly or syrup might be safe for you as a topping. You can also make up a batch, let them cool, put plastic wrap or parchment paper in between them and put them in a container in the freezer and then warm them up in the oven or microwave when you want an easy breakfast. I used the Gluten-free, Rice-free, Potato-free Flour Mix below, which I actually use as an all purpose flour, and I’m quite happy with it. I make a batch and store it in mason jars so that I have it on hand. Measure all ingredients and place in a large mixing bowl. 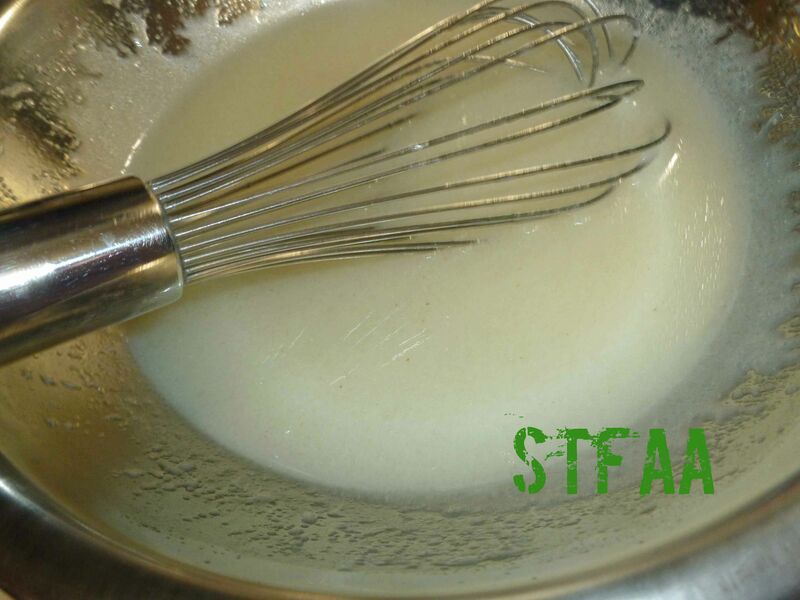 Using a whisk, mix the ingredients until well combined. Place in an air tight storage container and use in baking recipes. Makes about 10 to 12 - 4 inch pancakes. Place water, vanilla extract, non-dairy milk, oil, and psyllium husk powder (Wet Ingredients) in a smaller bowl and whisk together until smooth. Let mixture sit for about 30 minutes so that the psyllium can gel. Measure out flour, salt, baking powder and brown sugar (Dry Ingredients) and place in a large bowl. Whisk ingredients together until they are well incorporated into each other. When psyllium in wet ingredients has gelled, pour wet ingredient mixture into the dry ingredient mixture and whisk them together until most of the lumps are gone. Heat your skillet over medium low to medium heat, depending on your burner strength. When your skillet is hot, add a bit oil to the skillet and grease it. 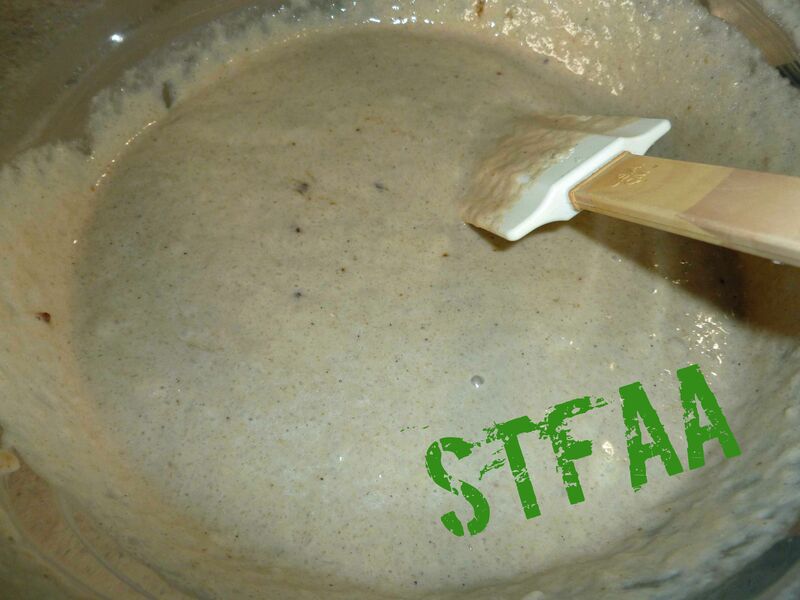 Then scoop some of the pancake batter into the skillet. I used a Pampered Chef large scoop that holds about 3 Tablespoons of batter to portion out the pancakes into the skillet. 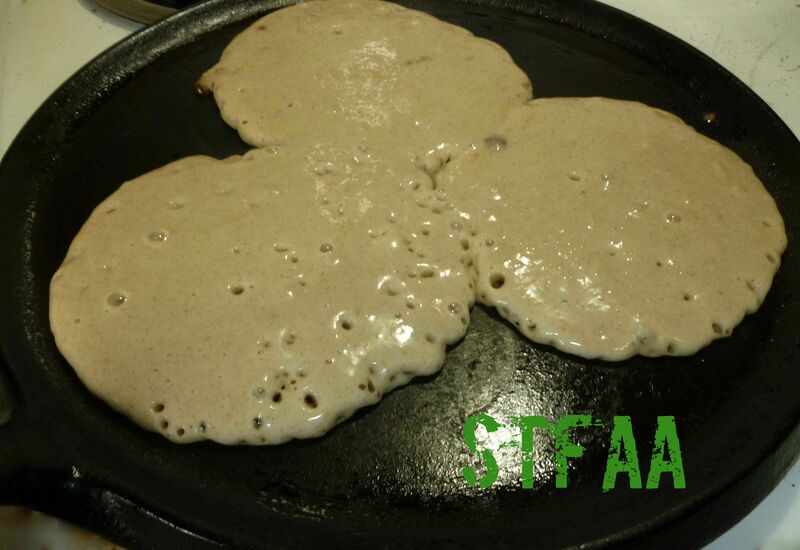 Cook until the edges of the pancake look dry and there are bubbles in the batter. 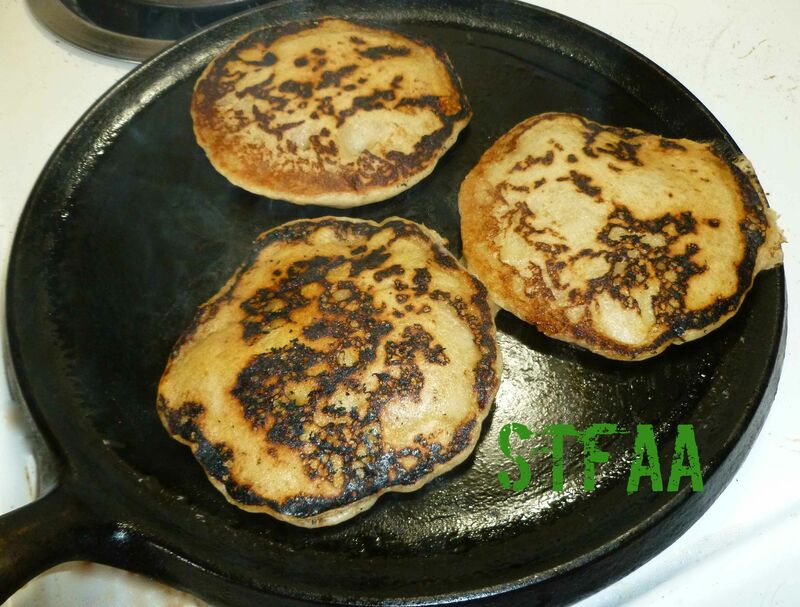 You can use a spatula to gently lift up an edge to see how brown the pancakes are underneath. When they are a nice deep golden brown, flip them and cook until the other side is a nice deep golden brown.